Monitor up to four indoor or outdoor areas with the STAR-LIGHT FLEX 8MP Multi-Sensor AHD Outdoor Dome Camera from Digital Watchdog. The camera has four fixed lenses to capture four individual 1920 x 1080 resolution video streams at up to 30 fps each. Each lens can be adjusted via a magnetic mount to position it in the needed direction. STAR-LIGHT technology and its mechanical IR cut filter allow the camera to produce clear images in low-light conditions, while wide dynamic range and Smart 3D digital noise reduction further help the camera capture accurate images in varying lighting conditions. 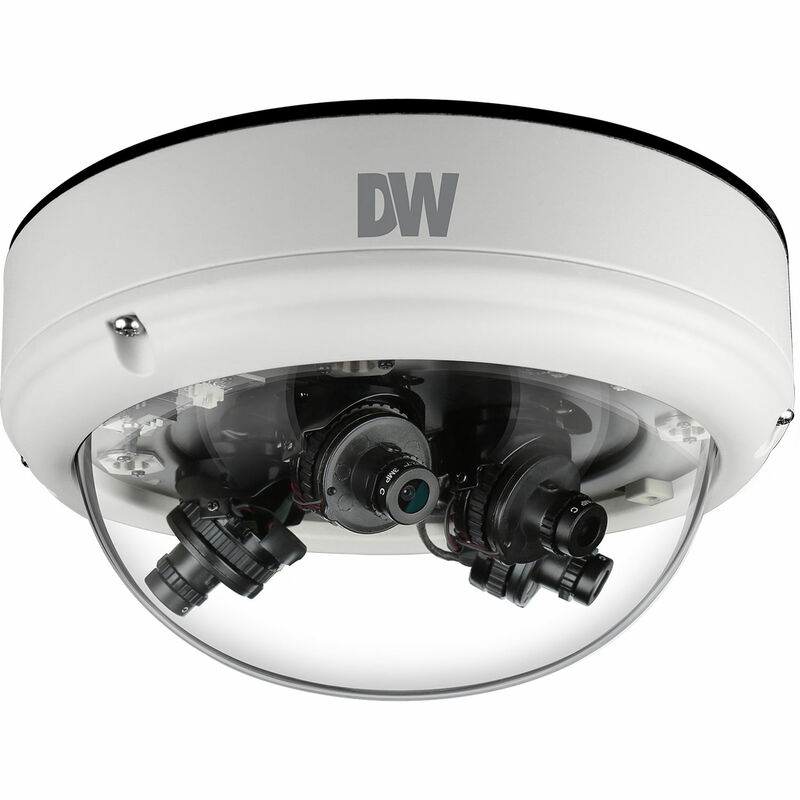 Housed in an IP66-rated enclosure, this camera is protected from dust and water, making it suitable for outdoor use. Box Dimensions (LxWxH) 10.7 x 10.2 x 7.6"